Even If Less Convenient, You Must Dry Clean. You are here: Home / Dry Cleaning / Even If Less Convenient, You Must Dry Clean. 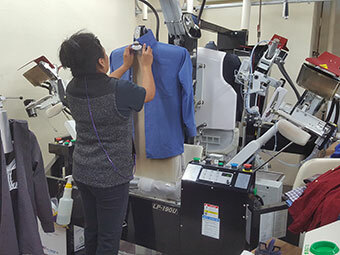 The biggest complaints that people have about dry cleaning is that it is not as convenient as simply placing their clothes in the washing machine, and that it is more expensive than home washing. 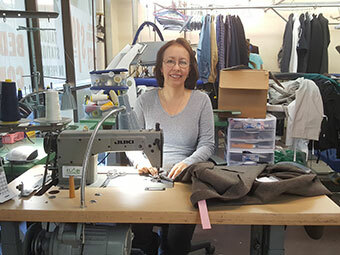 While there is no doubt that the process of having your clothing professionally cleaned by a business is going to be more expensive than if you were to do it yourself at home, you have to consider that if you were not to dry clean the garments that are required to me, you are going to significantly shorten their life span, if not ruining them completely the first time that you try. You see, more expensive clothing made from more delicate fabrics are designed to have a certain shape and stiffness, and if these fabrics are exposed to water or even worse the agitation of a home washing machine they will be compromised to the point of looking old and wrinkled. Many fine fabrics also do not have the ability to maintain the dye that they have if bathed in water, so you will ultimately get colors that are dingy looking and less bold. The small amount of extra money that you will spend in the cleaning of the garments is better than having to completely rebuy them because they are ruined before their time. The other complaint about dry cleaning is that it is not convenient to take your clothing down to a business either before or after work in order to have it cleaned when home washing is so much more convenient. In order to assist with this fact, many cry cleaners like Complete Cleaners offer totally free pickup and delivery services that are even more convenient than home washing. As opposed to having to actually gather your clothes and wash and then dry them before sorting and folding, with regards to pickup and delivery all you have to do is schedule the pickup and then leave your clothes to be cleaned in a special bag on your front porch. The dry cleaner will then pick it up for you and when it is completed it is dropped off in the same spot folded or on hangers. Your credit card is charged for the cleaning process, but there is no additional fee for the pickup and delivery. This way, you will never have to set foot in a dry cleaners again, nor take your precious time driving down to one to pick up your clothes. Lets face it, dry cleaning is a must if you are going to keep your clothing looking good. If you do not dry clean it often enough, it will quickly begin to smell and look quite bad. If you are to maintain a level of decorum that is to present you in a professional manner, you are going to need to keep your clothing clean even if there is a little extra expense, or if it is easy to just throw your clothes in the washer. Dry cleaning is necessary, so find a dry cleaner you trust and do it regularly.